The state of the UK rental sector is something that we frequently bring up at The Tenant’s Voice – and we’re not alone, as this is an issue for tenants all over the country, as well as organisations working for better renting conditions and a friendlier rentals market. However – as we recently saw in the Chancellor’s autumn statement – not a huge amount of attention is paid to the difficulties that tenants suffer by those in the higher echelons of politics, mostly because this has not, until now, affected key sectors of the economy. Well, that could well all be about to change as the knock on effects of our broken rentals market are beginning to reach much wider than just struggling tenants. As we mentioned last week, there has been some acknowledgement that buying property has become unaffordable for even those on healthy salaries with a decent deposit – and, as a result, we saw some tax advantages removed from buy to let landlords to make being a landlord a (slightly) less appealing prospect. New research has highlighted another broader effect of high rents that may, in the near future, also require practical measures – the cost to businesses of the rising rents that tenants have to pay. Research carried out by estate agent Savills has found that a combination of being forced to factor in higher salaries that staff require as a result of shouldering more significant rents, as well as the increase in business rents, may see a large number of businesses – even large organisations – being forced to relocate to offices outside of London. 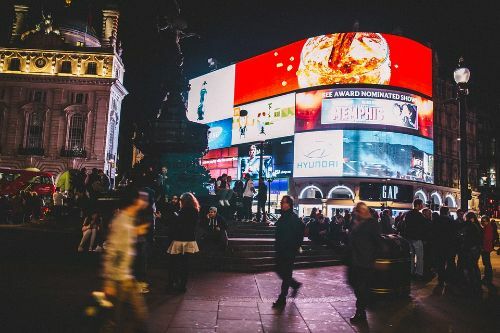 The capital has always been seen as a thriving hub of creativity and business innovation but if it becomes affordable to hire staff in London then what will happen to local industry? According to the research carried out by Savills, the average cost of an employee in central London is now £50,000, as compared to £33,695 in the rest of the country. That £50,000 is broken down into £35,000 of salary and then £15,000 per work station in rents, rates and service charges. The research revealed that the costs that employees have to pay to put a roof over their own heads is putting more and more pressure on employers trying to recruit and retain the best staff to provide salaries that reflect those costs. Given than many of those living in the capital spend around half of their income on rent, it’s no surprise that there is an increased in demand for wage rises to match above inflation rents.